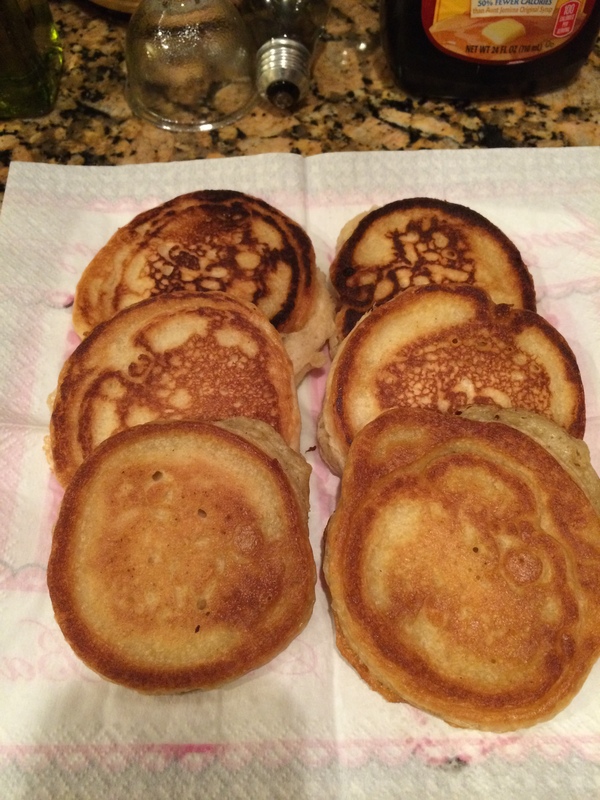 I’ve been wanting some pancakes like my aunt use to make when I was a kid. She would make them from scratch and they were SOOOOOO yummy. I remember her standing in the kitchen flipping away and giving them to us while they were hot. SO GOOD!! She never measures anything when she cooks so I decided to ask her what she used and I would come up with my own measurements. She uses self-rising flour, milk, and eggs. Three simple ingredients.